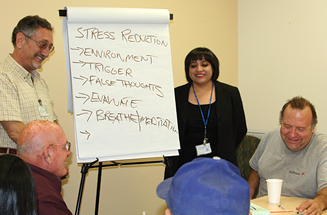 CalWORKs Mental Health Services provides a variety of mental health services to individuals with the intent of promoting work readiness. CalWORKs’ goal is to assist people 18 years and over in improving their emotional health, develop the skills necessary to obtain and maintain employment, and improve their quality of life. Assessment – individuals will receive a comprehensive evaluation which will help in overcoming identified challenges. Case Management – advocacy services such as home visits, connecting to community support services and assistance with completion of applications for other agency services. Information and Referral – community resources are provided for problems related to substance use or other needs. Note: Providers may list additional services offered that are unrelated to this program, as all services are listed.